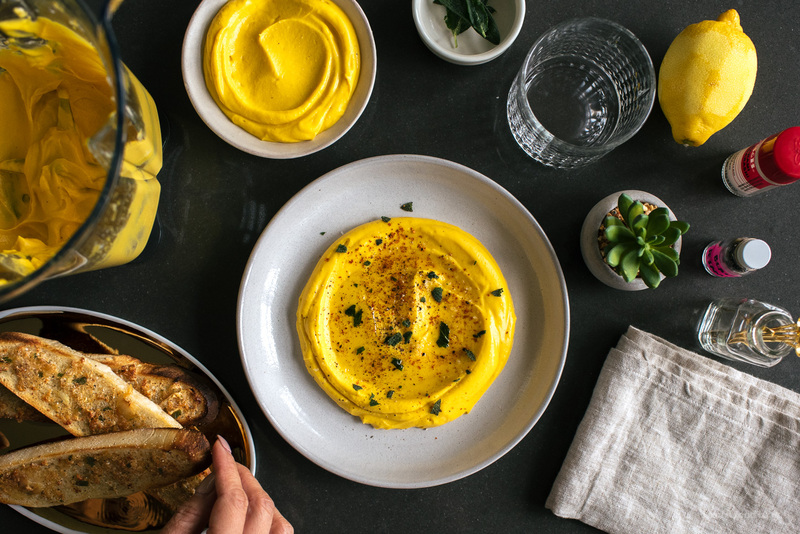 This quick and easy appetizer is both comforting and classy: smooth, simple, and creamy whipped ricotta with olive oil, lemon, and roasted kabocha. 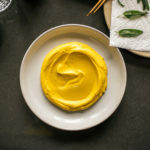 Say hello to this whipped ricotta with roasted kabocha pumpkin – perfect for a fall dinner party! Fall dinner parties are right up my alley. In the season that’s ruled by comforting stews and braises, autumn is just the right time to throw hands off dinner parties where all the prep and cooking is done before so all that’s left to do is gather together and enjoy the company of good family and friends. Speaking of friends, Mike and I just got back from a quick trip to Banff and wanted to have some friends over for a little snack-n-chat. We had absolutely nothing in the fridge except for some couple-of-days old roasted kabocha (I love that stuff) and a tub of unopened ricotta. I whipped the two up in our Vitamix, topped it off with a drizzle of olive oil, shichimi togarashi, and some crispy sage. Bread was toasted and a party was had! 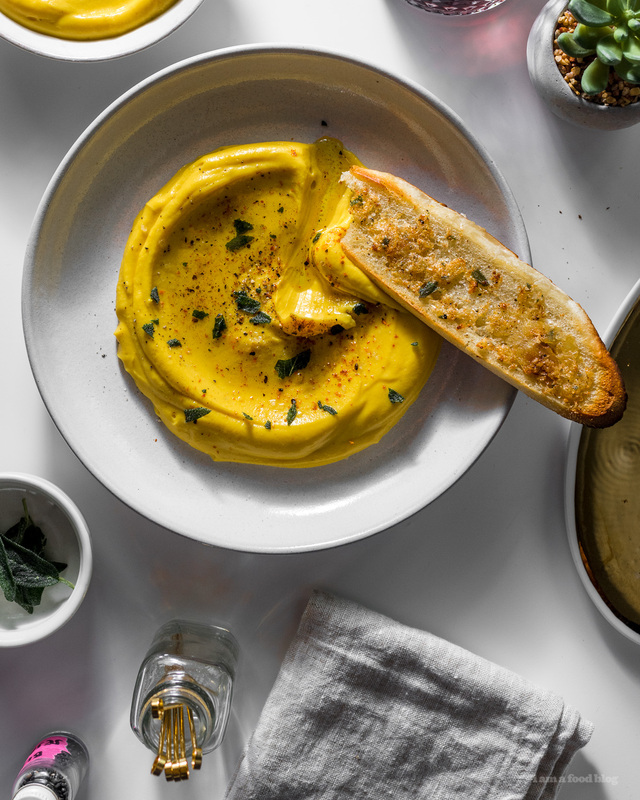 It was so good that I’ve put it on our repeat appetizer list. Funny story about the kabocha – we’re clearly in the thick of decorative gourd season and truth be told, I’ve been dying to buy some decorative gourds but somehow haven’t gotten my act together. So, the other day Mike and I were at the Asian grocery store, shopping, and on the list were decorative gourds. Of course, being an Asian grocery store, there were none to be found, so Mike led me over to the kabocha and butternut squash section. Mike, while picking up a kabocha: Look, decorative gourds! Me, with a look of despair: Those are kabocha!! Me: silence with a much exaggerated eye roll. 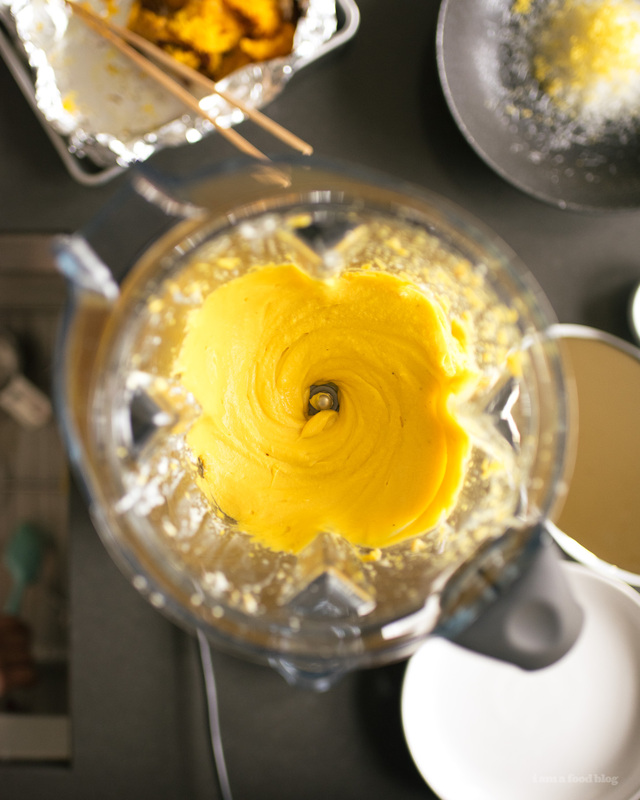 In a Vitamix, blend the kabocha and ricotta with the milk, salt and pepper, on low until just smooth and creamy. Spoon onto a shallow plate and top with a drizzle of olive oil, flaky salt and freshly ground pepper, and shichimi togarashi. Enjoy with toasts! If making ahead, put in the fridge (sans toppings) until it’s time to serve. 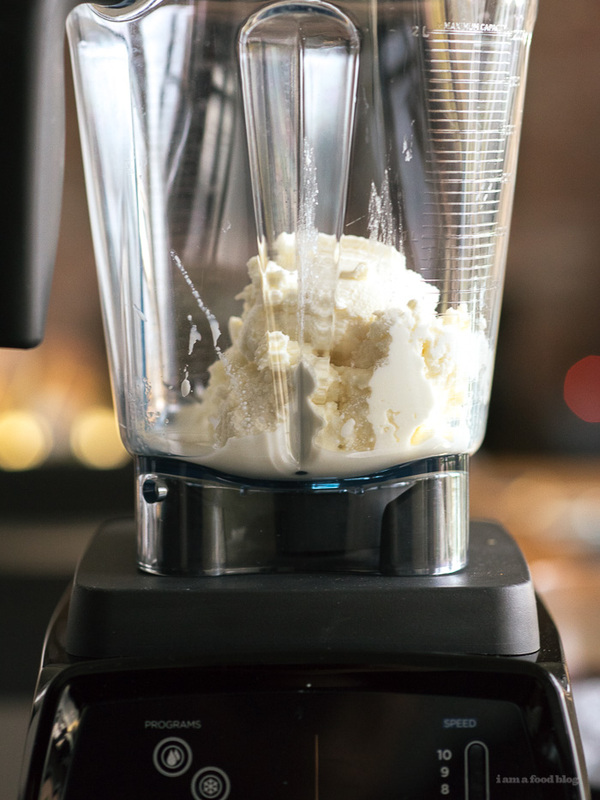 I partnered with Vitamix to create this post. This recipe is bomb – it comes together in just minutes! 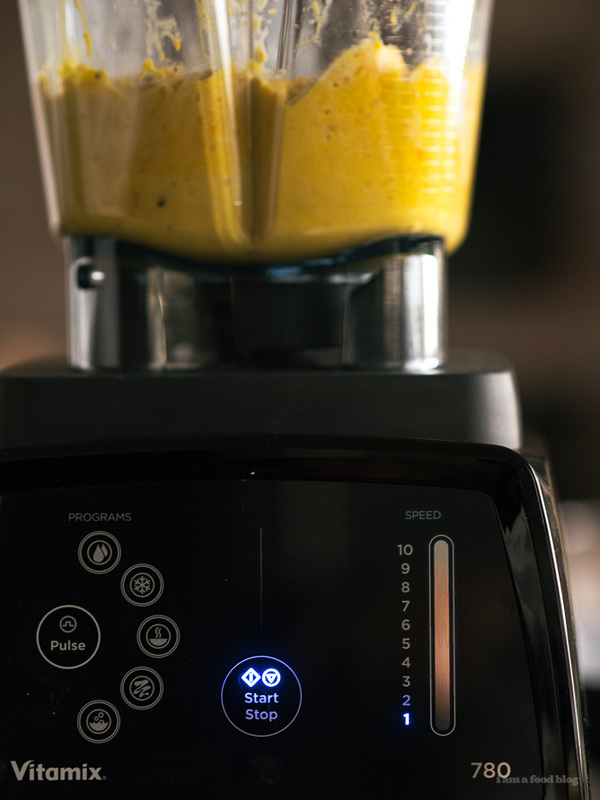 Vitamix is celebrating Canadian Thanksiving by Giving Thanks with $90 Off. Looks so yummy! What kind of bread would you suggest serving with? I was thinking a crusty sourdough would do nicely but not quite sure! yes, a crusty sourdough would absolutely work – i like mine toasted! Yum! This looks like my kind of appetizer! 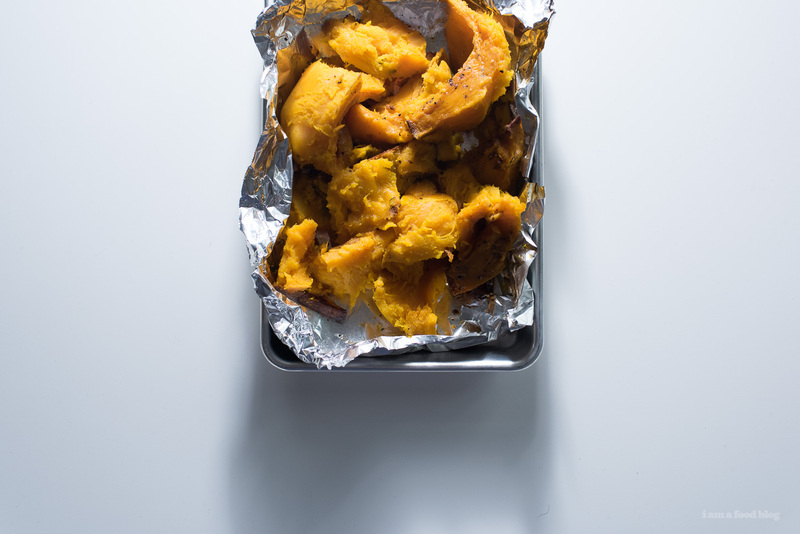 Kabocha squash is one of my faves (along with red Kuri). Apparently this warrants an eye-roll, but I totally buy squash and display it until I need it for a recipe. No points for multi-purpose decor?? 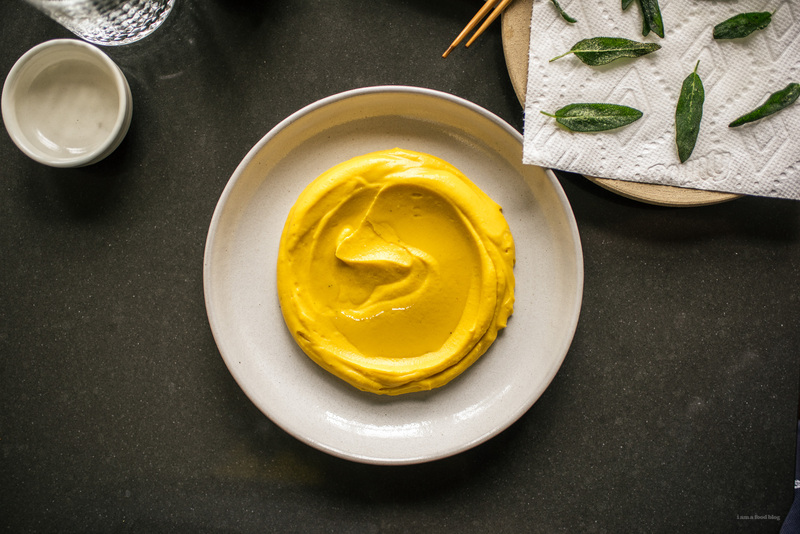 The Best of 2015: A Recipe Round Up!